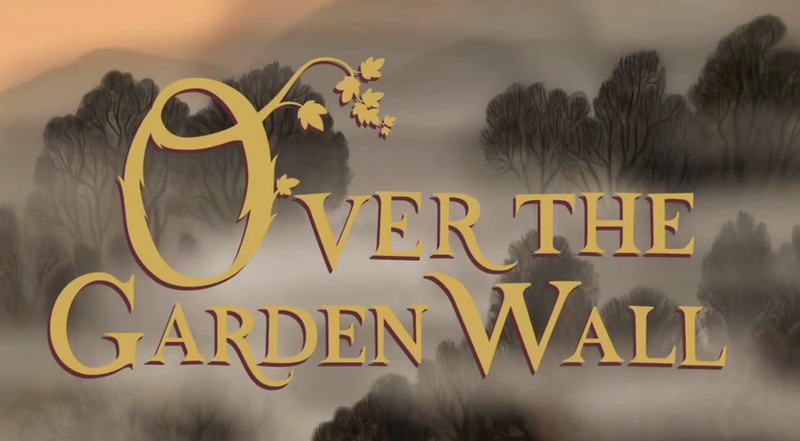 So yesterday, I watched all ten episodes of Over the Garden Wall. The show is a surreal mixture of Alice in Wonderland, folklore and fairy tales, and old cartoon animation and it is wonderful. Aside from the main characters, who are all fleshed out and believable, each episode is packed to with references to mythology and folklore. Here, I will explain what the myths and meanings are in each episode. Please watch the whole series before reading, because there will be spoilers. The poem is one of many extolling the death of siblings. And one of the main themes of Over the Garden Wall is how the older brother doesn't want to be responsible for the younger brother, much like Sarah in Labyrinth didn't want to take care of her brother Toby (and like Labyrinth, this comes back to bite Wirt hard). And now the characters: the two main characters, Wirt (Elijah Wood) and his younger brother Gregory (Collin Dean), become lost in the woods. The name "Wirt" is unusual and not very common - in fact, "wirt" is a German word for "host" or "landlord." Perhaps an indication that Wirt is our host for this story - our everyman that we are supposed to identify with. Gregory, on the other hand, is a very common name meaning "watchful, alert." Indicating that Gregory is more observant in this new land, more open to new places and people. The brothers are soon joined by Beatrice (Melanie Lynskey), a bluebird who is there to guide them. The name Beatrice means "voyager, traveler," but more importantly is the name of the woman who guides Dante through Heaven in The Divine Comedy. And now onto the episodes. "Chapter 1: The Old Grist Mill"
References: There have been numerous folktales about woodsmen and wolves, perhaps the most famous being, of course, "Little Red Riding Hood." A grist mill grinds grain into flour (and also sounds suspiciously like "ghost mill"). Also, the reason why Gregory had an enormous amount of candy will come up again. "Chapter 2: Hard Times at the Huskin' Bee"
Summary: Beatrice agrees with lead Wirt and Gregory to "Adelaide of the Pastures," who will tell them how to get home. Wirt decides to go to Pottsfield instead and they find themselves in a town where the townspeople wear pumpkins and are busy celebrating the harvest. References: A "husking bee" was an actual thing: it was an old tradition in New England and other states to have a celebration during the harvest when the farmers would "husk" corn. There would be games and dancing and so on. Pumpkins have long been used as substitutes for heads, from the Headless Horseman to Oz's Jack Pumpkinhead to modern day jack-o-lanterns. The town that the characters pass through (which is populated by - spoilers - animated skeletons) is called Pottsfield, a reference to Potter's field, a place where poor or unknown people were buried. The references to "Potter's field" go all the way back to the Bible, where Judas was buried. Curiously, the leader of Pottsfield is named Enoch, who the Bible said did not die but "God took him" and was brought to Paradise while still living (interpretations differ). When the skeletons climb out of their graves and start to dance, this is a pretty clear reference to the Silly Symphonies Skeleton Dance. If you notice, one of the residents of the town says that Wirt is a "little early" to be there (meaning that he's not dead yet). Perhaps another indication that they are traveling through the afterlife? Next: Wirt and Gregory go to school, find a tavern, and then gain a mad uncle. Stay tuned for part two.